Model PSM01 screw-in pressure switches in a diaphragm or piston variant open or close a circuit, depending on whether the pressure is dropping or rising. An adjustment screw enables easy and convenient on-site setting of the required switch point. Optionally, WIKA offers its customers the factory setting of the switch point. 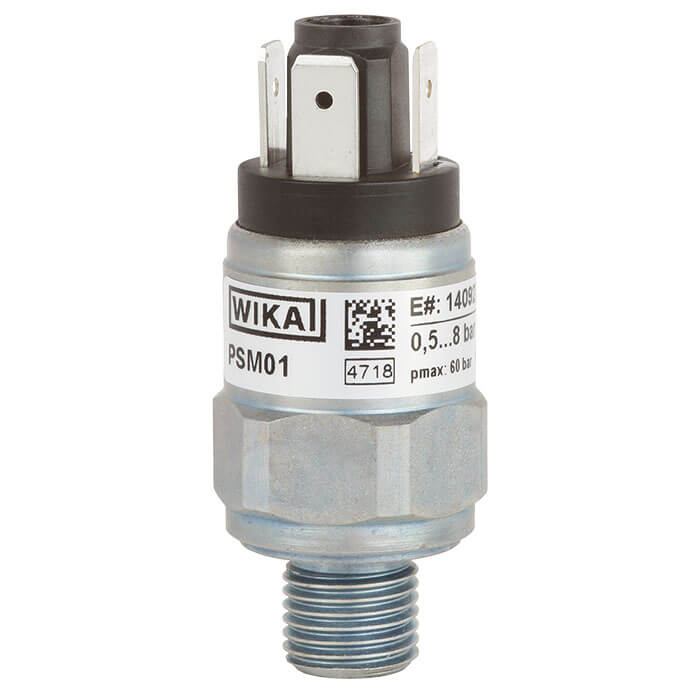 The model PSM01 pressure switch is suitable for applications where compressed air, neutral and self-lubricating fluids as well as neutral gases are used. The high reproducibility of the switch point of ±2 % and the optional socket wrench mounting make this switch interesting for both OEM and small customers.